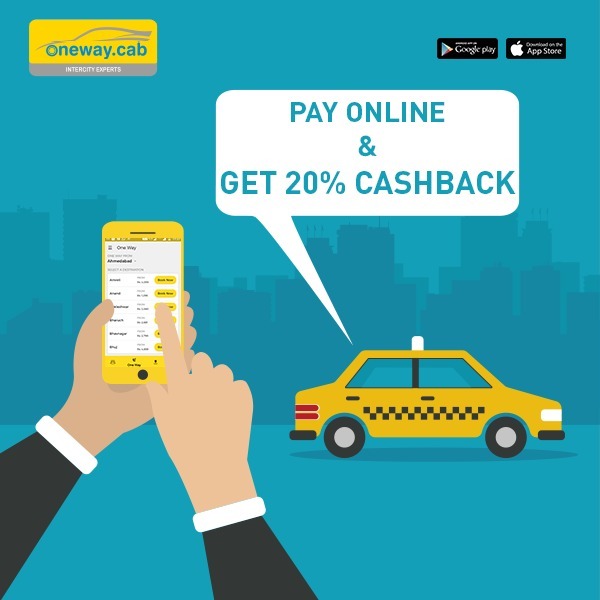 Pay for your Trip online using PayTM, Credit Card, NetBanking or Debit Card and Get 20% Cashback in OneWayWallet. Once coupon code is successfully applied – Re 1 will be deducted from your fare. Post Completion of trip, 20% Cashback will be credited in OneWayWallet within 7 Days. Entire OneWayWallet amount can be used against your next trip. There is no Wallet Restriction. Cashback will be credited in OneWayWallet within 7 working days after completion of the ride. Coupon code applicable on all One-Way Inter-City, Local Packages & Same Day Return Outstation Trip. Maximum cashback amount per ride is Rs 200. Coupon code should be applied to avail the offer. Offer applicable on a maximum of 3 rides per user. or just give us missed call at 08000247247 to download App Link.